Places to FLY your RV! 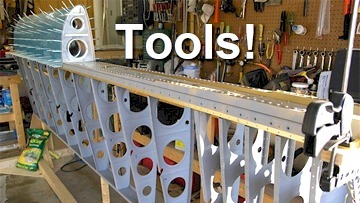 3/6/2006 - Started work on the Left Wing! I used my Microstop Countersink Cage with #40 countersink bit and did all the platenut holes. 4/6/2006 - YEEEEE HAAAWWW! Dem Ribs is DONE! A website designed for Van's Aircraft Homebuilders, helping them find the information they need to build the most dynamic aircraft in the world. This website was built to document the construction of an RV-9A in compliance with the FAA requirements needed to certify the aircraft. Any experiences and/or comments are by no means to be considered as instructions on how to build an RV-9A or any other aircraft. This is website is owned and published by OpenAirNet, Inc. © 2015. All rights reserved.